1. Tell us a bit about yourself, your role and your company. DHL Consulting is the independent strategic supply chain and management consultancy of Deutsche Post DHL Group, employing 130 consultants globally. I have been dedicated to the logistics sector for more than two decades. Shortly after I joined Deutsche Post DHL as a business graduate, I quickly learned that logistics is much more than trucks, warehouses, shipping containers, and stacks of brown boxes. The logistics industry happens to be highly complex, dynamic, and innovative. Over the years, I held various positions in strategy and consulting. Today more than ever, my team and I at DHL Consulting passionately guide Deutsche Post DHL Group and its customers to tackle and overcome today’s challenges effectively. As leaders, we cannot ignore the severe transformational changes that supply chains are going through, which require us to rethink the way we do business. Digitalization, E-commerce, big data, artificial intelligence, robotics, IoT, drones, blockchain, and the circular economy will redefine the supply chain and logistics eco-system. We as leaders need to embrace the change and lead by example. 2. 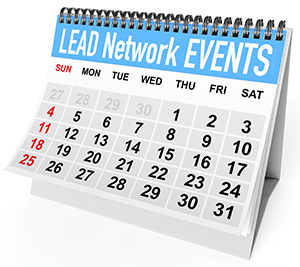 Why are you passionate about the mission of the LEAD Network? Beyond my logistics career, I consider the advancement of women in executive roles to be a fundamental requirement for business success. I believe that encouraging diversity in perspectives and leadership styles will undoubtedly result in better decisions. I am personally committed to helping females succeed and promoting more diversity in management teams. An essential part of igniting change is connecting with like-minded people to drive the diversity topic and make sure it is on people’s agendas. 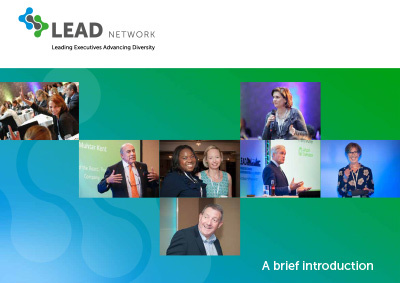 LEAD Network provides that opportunity and facilitates a space where we can all share ideas and develop best practices. By working together, we are much more visible. I always leave LEAD Network events inspired by the people I meet and their stories. The passion and dedication that LEAD puts into their mission keeps momentum and provides the impetus for us to keep striving for progress.